When you are on the hunt to find a personal loan, banks, credit unions, peer-to-peer lenders, payday lenders, and personal lenders are among the most common choices. iLoan provides another alternative as a 100% online lender. If you don’t have the stellar credit scores and histories that banks and credit unions require yet want to avoid the eye-wateringly high APR rates frequently charged by payday lenders, iLoan could be a good option. As the online division of OneMain Financial, a bank that operates in almost every state in the U.S., iLoan is backed by a publicly traded company with deep resources and offers lower rates than most payday lenders. Is iLoan Right For You? Whether you need to borrow money to pay a dental bill or go on vacation, iLoan can loan up to $25,000 but before signing any loan agreement paperwork make sure to check how much you will be charged for late, origination and administration fees. iLoan provides personal loans for a wide variety of purposes from adoptions to vacations. Commonly, borrowers will apply loan proceeds for auto repairs, bills, and debt consolidation, as well as to pay for medical or dental procedures and finance moving or relocation. You can borrow anywhere from $2,550 up to $25,000 and will pay an APR rate from 11.24% to 36.00%. iLoan accepts borrowers with lower credit scores, but if you fall into a higher risk category you can expect to pay higher interest rate charges. If you choose to take out a loan, make sure to ask how much you will pay in origination and administration fees because these vary by state. Late fees may also be applied if you fail to pay on time, but not all states permit lenders to charge these fees so it is best to verify on your loan agreement how much you will be charged before signing any paperwork. Lending Tip: Check your credit with a lender that performs a soft credit check first. Unlike some other lenders, iLoan will ding your credit because a hard credit check, which counts against you, is performed. By contrast, some personal loan issuers will only conduct a soft credit check which won’t hurt your credit rating. iLoan has no minimum thresholds for credit score, credit history, and income, however a maximum debt-to-income ratio is stipulated. While some borrowers, such as SoFi, target super-prime borrowers almost exclusively and impose strict eligibility standards, iLoan is more lenient and stipulates no minimum income, credit score, or credit history. Generally, a credit score above 600 is preferred though no minimum is explicitly stated. And ideally from iLoan’s perspective your borrowings should not exceed approximately 65% of your income, though you may receive approval if your debt-to-income ratio is as high as 85%. Shorter duration loans will cost you more out of pocket each month but may save you thousands of dollars over the duration of a loan term. In order to compare monthly payments over different time frames, we’ll assume a $6,500 loan is issued with a 25.40% APR rate and a 5% origination fee. While the monthly payment is lower for the longer duration loan, the total amount you would pay over a 66 month term would be $12,122.88 compared to $8,357.52 for a 24 month loan. By choosing the longest term loan compared to the shortest term loan available in this example, you will pay an additional $3,765.36. So, if you can afford the monthly payments associated with a shorter term loan, it will save you quite a chunk of change over the long haul. Check your loan agreement to see what fees are applied because they tend to vary by state. iLoan has no minimum credit score or income requirements but, the higher risk you are perceived to be, the higher your APR rates. APR rates may save you a lot of money when compared to payday lenders but they are still quite large, reaching as high as 36%. ✅ Low Credit Score Applicants: Borrowers with low credit scores, limited credit histories, and high debt levels may still be eligible to qualify for personal loans from iLoan. ❌ Hard Credit Check: When you check your rates, a hard credit check is performed which may negatively impact your credit rating and credit score. ✅ Fast Application Process: Once approved, loans may be issued in as fast as one business day. ❌ High Rates: Rates and fees are lofty, and reflect the creditworthiness of borrowers. They will be higher if you have a limited credit history, a low credit score, or a hefty debt load. ✅ Consolidate Debt: You may use a personal loan to pay for medical or dental bills, or to finance a wide variety of events or bills from vacations to weddings, and from moving home to large purchases, but among the most popular uses is to consolidate debt into a lower monthly payment. ❌ Limited Availability: Although the parent company of iLoan operates in 44 states, you can only apply for a loan online from iLoan in 12 states. ✅ Payday Lender Alternative: Some payday lenders have APR rates over 100%+. By contrast, iLoan limits its rates to an APR of 36%, which is still high but may save you considerably versus alternative financing sources. ✅ Personal Loans Big or Small: Some personal loan issuers have large minimums but iLoan will allow you to borrow from $2,550 to $25,000. ✅ Automobile Secured Loan: If you are a Wisconsin borrower, you can secure your loan with an automobile. iLoan caters to borrowers of almost all levels of creditworthiness. You don’t need to have a minimum credit score, credit history, or income level to apply for a personal loan, which can be used to pay for a large purchase, consolidate debt, or even move home. Although the annual rates charged won’t be the cheapest on the market, they are likely to be considerably better than those offered by payday lenders. And if you lack the credit needed to get approved by a bank or credit union, iLoan may be a good option. If you do get approved for a loan, make sure to check the fees charged, such as the origination, administration, and late fees. Where possible, consider shorter time frame loans too because the accumulated interest charges will be quite a bit less even though the monthly payments will be higher. 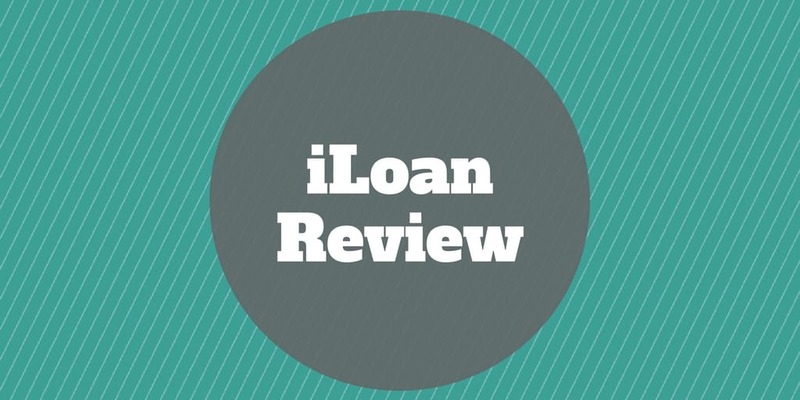 The bottom line is if you have shopped around to get a personal loan but been denied through traditional channels and want to avoid a payday lender, iLoan is worth checking out. ‹ What Is A Firm’s Market To Book Ratio?